It’s the place for the general discussions on the LGM. each member of the organization team should be subscribed. all the LGM projects should have at least one member representing it on this list. it’s a list with a rather broad list of people and low traffic. It’s the place for the discussion among the LGM organization team. each member of the team should be subscribed. other people can subscribe and follow the discussion and give occasional contributions (if your contributions become regular, you should probably get into the team). Please don’t cross post to the lgm and create lists ! On the #lgm IRC channel on Freenode. If there is a problem on this website, please report it on Github : https://github.com/libregraphicsmeeting/htdocs-lgm/issues. 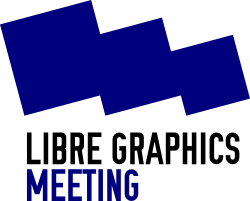 For the 2015 website it’s here: https://github.com/libregraphicsmeeting/htdocs-2015/issues.